The TOPO #StrategyLens is designed to give you actionable insight and tactics you can deploy in your business immediately to see tangible, measurable, results right away. This one-time offer is valued at $399 but for right now only, you can get it for $199. For 50% OFF our regular price, we will complete your TOPO #StrategyLens Worksheet for you prior to your free, 1-hour consult call. Be sure to read the full description below! This tool is a powerful step toward achieving a powerful KAPOW!!! that will accelerate and amplify your business growth. But you know what they say… the output is only as good – as accurate and effective – as the input. Unfortunately, you don’t know what you don’t know. The good news is that we do… know. We know how to look at your business and ID right away where you are and what you need to do, precisely, to get where you want to go. This one-time offer is a $397 value special offer. For 50% OFF our regular price, we will complete your TOPO #StrategyLens Worksheet for you prior to your free, 1-hour consult call. Basically, we will perform a deep-dive GAP Analysis of your digital visibility, existing state, and your competition. This will become our guide to determining precisely what you need to do to build the business end state you desire. 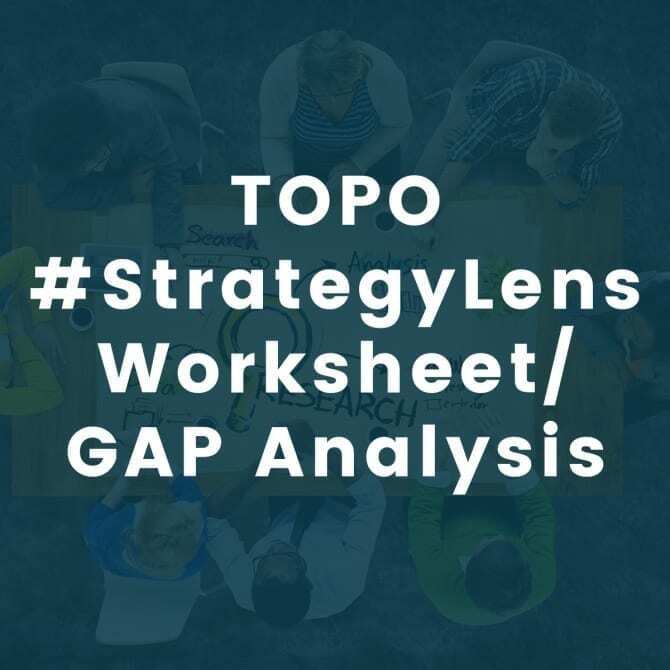 When the TOPO #StrategyLens Worksheet – completed by TOPODS Senior Digital Strategists – is combined with the FREE, 1-HOUR consult call, you will walk away with THE ANSWERS. You will know EXACTLY what you need to do for growth ignition. ***This offer is only available to those who have downloaded the TOPO #StrategyLens worksheet and have – or plan – to schedule their 1-hour FREE #StrategyLens consult call.